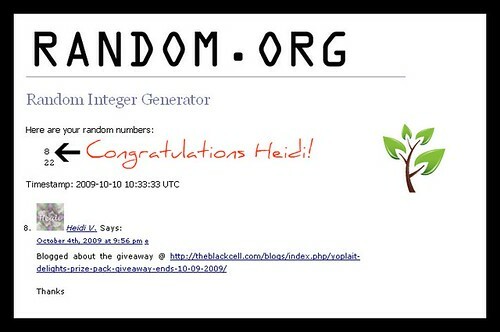 Heidi now has until Tuesday (10-13 because of the holiday weekend) to respond to my e-mail with her information for prize delivery or the next person will be notified. Stay tuned because another fun giveaway is coming very soon. I like your random gen. So neat.